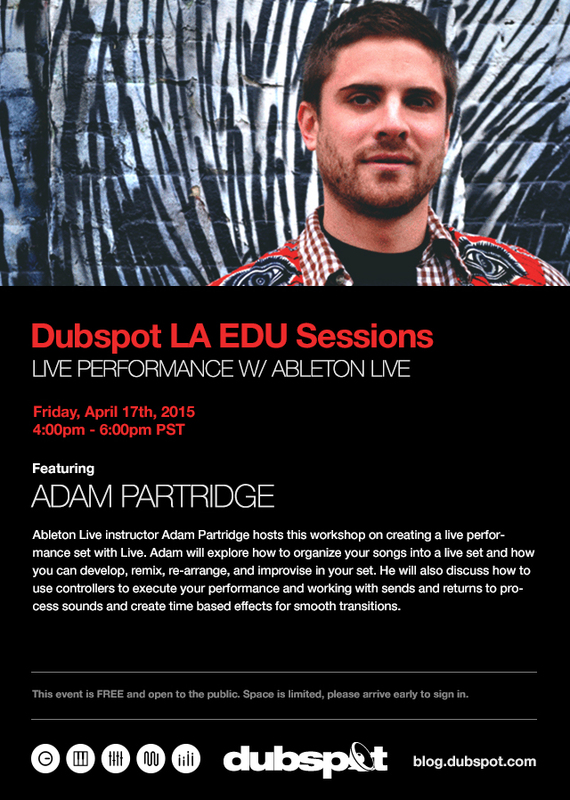 On Friday April 17th, join us at Dubspot LA for an EDU Sessions workshop about creating a live performance Ableton set with Dubspot Instructor Adam Partridge aka Atropolis. Join us for a free workshop hosted by Dubspot Instructor Adam Partridge on creating a live performance Ableton set. Learn how to organize your songs into a live set, develop, remix, rearrange, mash-up, and improvise your tracks. Catch some insight about what controllers you may need to execute your performance. Adam will also demonstrate how to work with sends and returns to help create time-based effects to help smooth transitions and to process your sound during the performance. Also known as Atropolis, his electronically global infused alter-ego, infuses his degree and knowledge in music composition, technology and ethnomusicology throughout his own productions and DJ sets. Currently signed with Dutty Artz, a Brooklyn bred indie-label, started by Matt Shadetek and Jace Clayton aka DJ / Rupturel, Adam strives to push the envelope of cultural boundaries and music. His roots also tap the Brooklyn underground warehouse scene, which Atropolis and his crew Cumba Mela have been apart of since 2009. As a DJ, Atropolis has toured Colombia and parts of the US. As a producer he has worked with various international labels, such as Kompakt, Palenque, and Soundway Records. 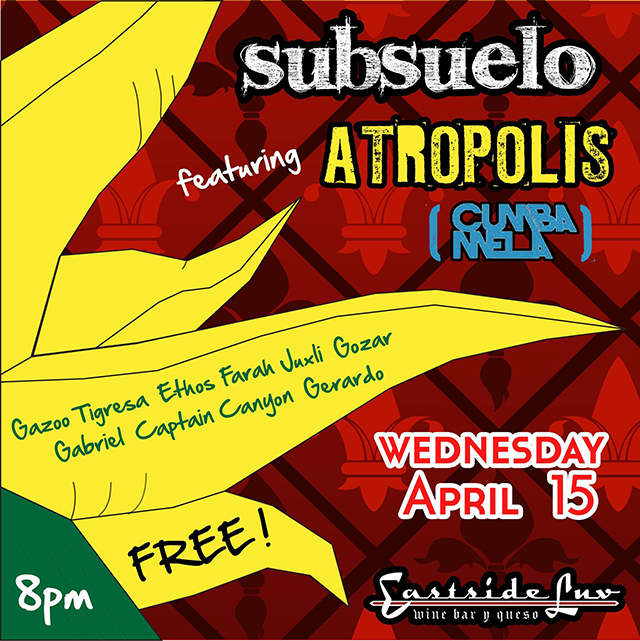 Catch Atropolis’s live performance while he is in LA at Eastside Luv wine bar y QueSo.